Andrew Grogan-Kaylor, PhD is an Associate Professor of Social Work. His research focuses on both basic science research, and intervention research, on children and families. He is one of the Principal Investigators of the Child Violence & Trauma Laboratory. 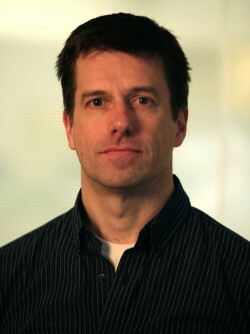 Grogan-Kaylor's current research projects examine parenting behaviors, such as physical punishment, and parental expressions of emotional warmth and support, and their effects on child mental health outcomes, aggression, antisocial behavior, anxiety, depression, and children’s thinking about violence. His research looks at the dynamic interplay of parenting behaviors and their effects on child outcomes across socioeconomic contexts, neighborhoods, and cultures. Professor Grogan-Kaylor is a co-author of the most complete analysis to date of the outcomes associated with spanking: "Spanking and child outcomes: Old controversies and new meta-analyses." Much of Dr. Grogan-Kaylor’s research involves working with populations for whom Spanish is the primary language. Dr. Grogan-Kaylor is also a faculty presenter for the U-M IPC’s MOOC, Injury Prevention for Children & Teens. Dr. Grogan-Kaylor is interested in Interventions with children and families; parenting behaviors and their effects on child outcomes; the dynamic relationships of family, neighborhood, and school indicators with child socio-behavioral outcomes; community antecedents of poor parenting; employing advanced statistical models for longitudinal and multilevel data analysis; meta-analysis, econometric modeling, Stata, R, HLM and ArcGIS and data visualization.